While it is possible to find a great football player just about anywhere in the country, one of the last paces to look is Lovington, New Mexico. Located in the southeast corner of the state, the town has about 11,000 inhabitants. Football-wise the state of New Mexico is 45th in the number of pro players produced and its high schools had produced only three College Football Hall of Fame players; Oklahoma’s Tommy McDonald, Joel Hunt of Texas A&M and John Wooten of Colorado. Lovington, New Mexico is a bit off the beaten path when looking for great football talent. As a child, Brian Urlacher moved to Lovington with his mother and his siblings. 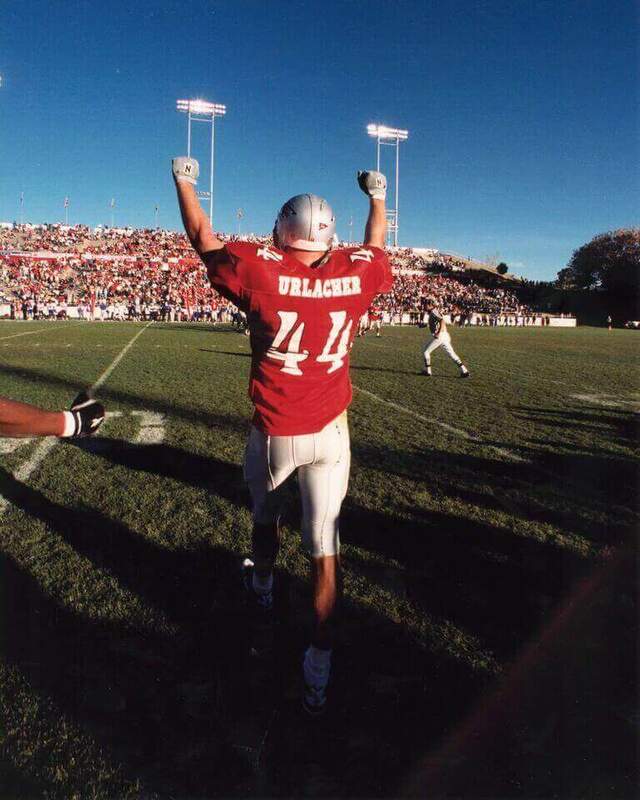 Brian Urlacher’s mother worked several shifts at different jobs, and her work ethic and ability to perform multiple roles became a standard that Brian would embrace through his life. As a sophomore in high school, Brian was a 5’9”, 160-pound wide receiver. But a growth spurt saw him add seven inches and 40 pounds to his frame by the time he was a senior. That year he was recognized as an All-State player on both offense and defense and led his team to an undefeated season and the state championship. Few recruiters were interested in making their way to Lovington. Only the in-state schools of New Mexico and New Mexico State offered major college scholarships enabling Brian to become a Lobo. As a freshman, he primarily was used on special teams before becoming a backup linebacker as a sophomore. As a backup, he was second in the team in tackles making 102 stops while being in the field for only 363 snaps. Before his junior year New Mexico hired Rocky Long as head coach. Long installed a defense that called for five members of the secondary, one of which would be the “Lobo” a hybrid safety and linebacker. It was a position that called for the teams’ best athlete to roam the field. Brian fit in perfectly as his 178 tackles led the nation. Brian’s talents would not be confined to defense. He played on every special team, averaged nearly 16 yards per punt return and caught six touchdown passes. in the number of pro players produced and its high schools had produced only three College Football Hall of Fame players; Oklahoma’s Tommy McDonald, Joel Hunt of Texas A&M and John Wooten of Colorado. Lovington, New Mexico is a bit off the beaten path when looking for great football talent.